In April this year I had to have surgery on my right shoulder : ASAD and ACJ joint excision. What does that mean? Those letters stand for: Arthroscopic SubAcromial Decompression and AcromioClavicular Joint excision. I've had Rheumatoid/Inflammatory arthritis for around 6 years and to cut a long story short I have been having problems with my right shoulder for 2/3 years. To start with I had many sessions of physio to try and help with the discomfort and for a short period of time it helped. I think I was pain free for maybe around 9 months, pretty good, but then it came back with a vengeance. I could stand it no more so insisted my GP do something about it. He sent me for an ultrasound scan. This showed I had bursitis so my GP suggested a steroid injection into the joint. Yes please, anything to relieve my pain and give me a good nights sleep. I was told it may not work but if I was lucky and it did the trick it would more than likely be short lived and only last for around 3 months anyway. Bummer! It did work for me and my shoulder felt normal. However, it lasted exactly 3 months and boom, there I was back to being utterly miserable again. For anyone that does not suffer with chronic pain it's hard for them to understand how debilitating it is and how miserable this makes a person. Just because you can't see it, doesn't mean we're not hurting, just because we smile and put on a brave face doesn't mean we're not in immense pain.We just want to be able to get on with our lives just like everyone else so we get up each day and do the very best we can. I had two more steroid injections after that (in quite a short space of time) and neither worked, that's when I insisted my GP refer me for some further action. I'd had enough. The consultant told me that an ultrasound scan was not sufficient enough and I would need an MRI scan. A year ago I had to have surgery on my foot due to arthritis related problems and I kind of had in my head that the shoulder would be the same. I was hoping and praying I was wrong and I wouldn't have to go down the surgery route. Sadly I wasn't wrong and the consultant informed me that I did indeed have arthritis in my shoulder. I had a bony spur that needed to be removed, impingement/inflammation that needed sorting (too little space for my tendons to move freely) I think that's right but I'm no doctor so don't shoot me if it's wrong! and shaving the bone on the under-surface of the acromion. I had mine done laparoscopically (keyhole) and all went well. I was in for one night and went home the next day with a sling. I won't ramble on about the following weeks as it'll bore you to tears. I was off work for 6 weeks and felt everything was settling down quite nicely, I was back to driving, and the pain was easing. That is, until I went back to work. I have a desk job, so why the problem? Well, I am constantly tapping away on a computer and because of that sadly everything went down hill and I went backwards with my recovery very quickly. My physio explained that my shoulder did not like being in that position at all and stress was being put on the muscles, thus causing constant pain. Movement was good but I had to get over the pain to allow me to move. So my physio decided to stick some needles in me! Acupuncture, he suggested. Ok, I agreed. Hell, I'm always up for giving anything a go that will rid me of pain. I've just had my third session and I can say with some delight that I think it's working. I'm not even going to try and explain how sticking needles in certain parts of your body works, you'll have to look that up yourself. I have seven needles in total, five around my shoulder/neck and one in each hand. Quite frankly I'd happily have them stuck where the sun don't shine if it helped! Here's a couple of shots from today's session. After acupuncture I have my shoulder taped up, you know like the sports people do. Apparently it gives support to the muscles and also helps to relive pain. I have it on for two to three days and my joint feels very supported and comfortable. It works for me but that doesn't mean it's right for everyone. One thing I will say is that I was in no way prepared for the recovery time with this procedure. I was under the impression I would be off work for around 6 weeks and then back to normal after about 3 months. I now know it is likely to be around 6/9 months before I see the full benefits of having surgery. I actually work in a hospital and lots of the nurses and clinical staff keep asking how I'm doing and when my response is that I'm still struggling a bit, they all reply 'oh yes shoulder surgery takes a loooong time to FULLY recover from'. Now everyone decides to tell me! Would I have still had it done if I'd known that, the answer is yes, because as my consultant said, the arthritis would never go away, it's just that I would have been more prepared for it. I've only just started going back to the gym, doing classes, nothing with weights and I was at a class last night that involved planks and side planks. I could not do these and that makes me sad. I suppose one step at a time, at least I'm back there and hopefully one day I will be pain free and glad that I did it. The very, very sad thing is that I have the same problem with the other shoulder and I know in time I'll need someone to sort that for me. Damn you arthritis and joint problems, just do one won't you! Anyone out there that's had the same surgery? Let's chat about it. Please get in touch and let me know how your recovery went. Was it a real long stretch or a lot quicker? Comments mean the world to me so don't be shy, let's talk! 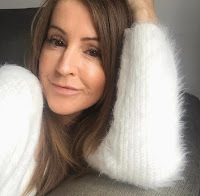 Steph - 40plus lifestyle blogger hoping to inspire and show you that being in your 30's, 40's, 50's and beyond is totally fabulous! Little things I've loved this week. All content is © Pricelesslifeofmine unless otherwise stated. Powered by Blogger. © Priceless Life Of Mine | All rights reserved.